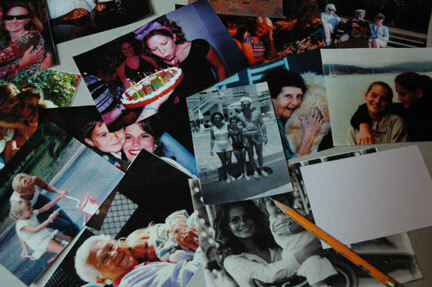 Suzi Godson » The Relationship Between Intimacy and Memory. A new study reveals that intimate couples develop interconnected memory systems which compensate for cognitive decline in later life. The Relationship Between Intimacy and Memory. A new study reveals that intimate couples develop interconnected memory systems which compensate for cognitive decline in later life. Up to 30% of older individuals who appear cognitively healthy and retain their mental and memory capacities actually have significant neural signs of dementia (Morris et al., 2004; Pike et al., 2007). Similarly, brain pathology is not always consistent with clinical signs of illness (Katzman et al., 1988; Stern, 2002). One explanation for this cognitive reserve is that the brain develops compensatory mechanisms which allow it to bypass the declining hippocampus (Addis et al., 2007; Stern, 2002). However, the external resources that individuals adopt in daily life – remembering with a spouse, remembering with a diary, or a combination of the two –also help to compensate for age-related neuro-cognitive declines. Previous research has suggested that intimate couples may be interdependent in terms of their cognitive performance (see also Dixon, 2011). Gerstorf et al. (2009) found that the cognitive trajectories of older couples in their large, longitudinal sample were linked, such that a husband’s cognitive functioning predicted his wife’s cognitive decline with a 1-year lag. In the neuropsychology domain, Rauers et al. (2011) found that older couples performed better than pairs of strangers on a joint word-guessing task, and collaborating with one’s spouse eliminated the effects of baseline cognitive function. That is, early evidence suggests that intimate couples may be interdependent in their performance on cognitive tasks and that collaboration with a spouse may compensate for the effects of age-related cognitive decline. When Celia Harris and her colleagues at Macquarie University reviewed their own previously published findings and carried out new research on social remembering by long-term intimate couples, their data showed that on standard tasks, such as reproducing words from studied lists, couples working together often did as well as when they worked alone. Differences between the couples were crucial. Those who structured their approach together and were more prepared to riff off the other’s contributions did better than those who were more passive or critical. Richer events were also better remembered by partners who rated their intimacy as higher. Interestingly, older adults experienced the greatest memory difficulties with first-hand autobiographical information — and this is exactly where long-term couples gained the biggest benefit from remembering together. So, as we grow older, we offset our unreliable episodic systems by drawing on the support offered by a partner — a shared resource. could not continue, and then provided prompts and support. Harris’s evidence suggests that everyday remembering is better understood by conceptualising people and their social and material environments as dynamic, coordinated systems. Studying people in their everyday contexts – social and material – provides new insights into the products, processes and functions of shared remembering, as well as insights into the complexity of systems that couples adopt and the complexity of outcomes we might expect from a distributed cognitive system. A more formal investigation regarding the role that shared remembering with a spouse plays in reducing memory impairment is currently underway.